Eliminate Full Price: Mailbox Monday 7/19/10 - Zippity Ziploc! Happy Mailbox Monday everyone! I hope you are all enjoying the summer so far. It's been so hot here in California. 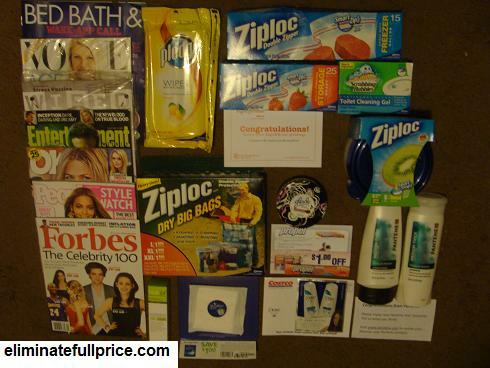 -Pantene Shampoo & Conditioner from Allure magazine's April giveaway. I was one of 1,000 winners! Nice haul. Looks like it was shampoo week for you ;D Come on over and check out my best week ever for winnings!